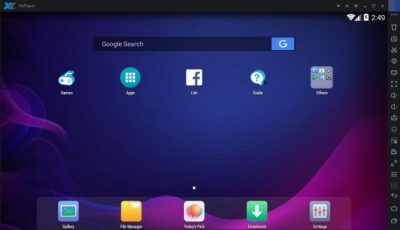 XePlayer is a best & free Android Emulator for pc that enables all Android games and apps to run smoothly in Windows systems. It built on x86 Architecture, support advanced features like OpenGL & hardware acceleration, run faster, more stability and compatibility than other Android Emulators. XePlayer Android Emulator for pc support video recording, gamepad & keyboard, and internal integrated Google Play store to compatible with all apps, more than 99% apps & games Running perfect on XePlayer.XePlayer Android Emulator is downloadable for Windows 7,8,10,xp and Laptop.Download XePlayer Android Emulator on PC and Start to playing games / apps now! – Chat more conveniently by using keyboard in Whatsapp, Wechat, etc. Note: It’s not recommended to run XePlayer in another virtual machine software.